My mind is already thinking about all the changes for next year! My school district is making great steps toward a new curriculum and I thought I would share a sneak peek. We all know the language competencies are important, but how well do students understand and interact in the target culture? Jacque Van Houten has been leading our district to add the interculturality standards into our existing units. Check out how Shelby County, TN has already added them to the units. JCPS is also giving our unit/curriculum maps a fresh layout to be more graphic. 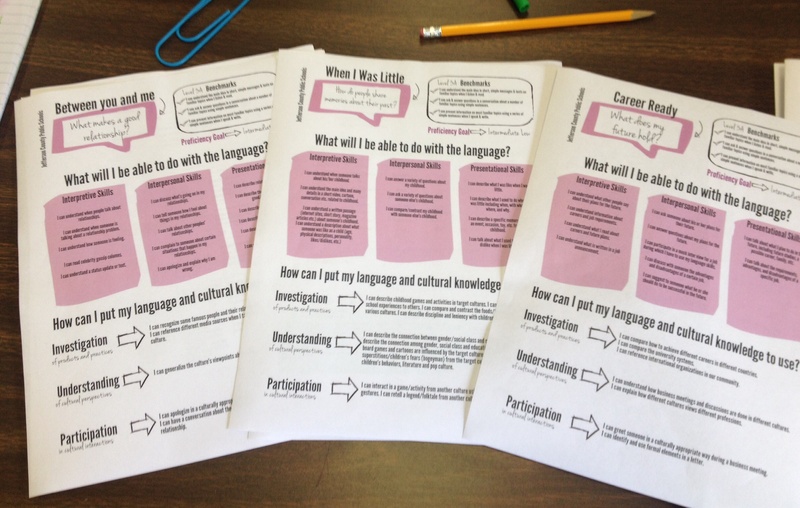 Megan created a new layout that includes the language and interculturality competencies. Check it out! Next Step: How do we assess the interculturality standards? I believe IPAs (Integrated Performance Assessments) may be the key to answering this question. In the fall, Megan and I met with Kim Hasenauer, Jeff Haubenreich and Bernadette Van Willigen from Wisconsin. They brought up a great idea to weave the AP themes through all language levels. My district decided to realign the units so that the same theme will be taught at the same time in each level. Now teachers and students can collaborate across levels. Think of the possibilities! Students teaching each other! Teachers sharing resources regardless of level! 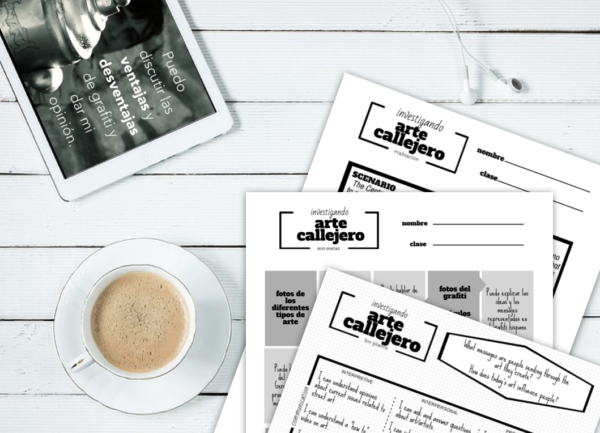 This will also help with planning, especially for teachers on carts and mixed-level classes. Does your curriculum need an update? Please share how you and your district are improving your curriculum for next year! For those of us that cannot make it to ACFTL conference, I hope you share as the NECFTL has. Keep the resources coming. You are doing wonders for me and my students. Looking sooooo forward to getting back involved with this process and these exciting new updates! I would love to see that unit map piece you are mentioning in “update the look”. I think that is exactly what our kids need to take our current “chapter outline” sheets to the next level and make them actually functional and helpful for our students!! I’m curious to hear how you incorporate the AP themes, especially in the lower levels. I have some level 4 students that want to take the exam, even though we don’t officially offer the class. One is a native speaker, so I want to have a challenging curriculum for him that will prepare him for the exam, but also keep him interested since he was in school in Paris until just a couple of months ago. Thanks for sharing your early summer motivation! Things work a little differently in Ontario, where I teach, as curriculum is provincially set, and individual boards don’t design their own. However, we, too, have a new curriculum document (our first, unbelievably in 15 years), for French as a second language. It is strongly rooted in the CEFR competencies, and includes a major cultural element. This summer is all about transition into this approach. You guys are amazing. My district is so behind the times that it is frustrating. We use Expresate for a text and everyone basically uses the materials to match it. I have been the coordinator this year (my first year) and trying to move their thinking in your direction but failed. Next year, the coordinator positions have been cut out of the budget again. I was hoping we might get money to work on curriculum this summer but that seems to be a bust also. So frustrating. Thank you for all that you do because it gives me hope. Your district sounds a lot like mine! It’s so hard to get people “out of the book.” I have a few- and by few, I mean 4- colleagues that have similar desires to present our languages in a more effective manner. Kara, Megan- you two have really been an inspiration- your creativity seems to only increase! Keep up the good work and know that you are helping many of us out there! Your district sounds a lot like mine! I can’t wait to see the new JCPS curriculum. We adapted and used it at my previous school starting with 5th grade. (yes 5th grade!) Learners loved the PBAs- I moved from KY to CO and here we have to design a district wide assessment for each level for the end of year. Getting OPI training in KY really helped me re think and reflect about the learning process and where I want my learners to be. My hope is that we can come up here with a proficiency based IPA for the end of the year that measures what LEARNERS CAN DO WITH THE LANGUAGE. Thank you ladies for sharing your ideas. Suzanne- thank you for sharing the link to the Webinar available online! I am planning to view both sessions as soon as we are finished with our school year here in Michigan (June 18th)! Kara, thank you for making these available for others to read/see. The work is amazing. Was this done over several years’ worth of Prof Development days? I can’t even imagine having everyone in our county’s system on-board with performance based assessment and less focus on grammar. Each time we are all together, there’s just so much apathy and not a lot of consensus about anything. People share ideas/strategies/projects, etc, but there’s no “rallying” the troops to really define what WL should be across the county. Part of the problem has been lack of support for our department at the county level for at least as long as I’ve been teaching (12 years)- just last year, we got a new spokeswoman/representative and she is really interested in seeing WL being taken seriously and being visible in the community. I’d love to be teaching somewhere where the teachers are all on board with this. Do you have any thoughts about how I could broach the topic to my colleagues? First of all, not everyone is on board, yet. 😉 We are a very large district. Some schools have 100% participation though! The first step was a common assessment. When teachers knew that they had to give the same one at the end of the course and turn in their scores, some decided to change then. We haven’t had to collect this for awhile, and some teachers have gone back to old ways. So accountability is crucial. But we did it in a POSITIVE way. We brought in student samples, looked at them, scored with each, discussed ways to improve our teaching, brainstorm plans for the next unit. Our school based department meetings still happen like that. As for time… at the high school level… we started this process 6 years ago and took about 4 weeks each year to develop. This year, we had 3 meetings to add the interculturality standards and realign using AP themes. There was a small group of us who formatted (which takes lots of time and we still need to fine tune some parts). I suggest to not reinvent the wheel. Megan and I would be happy to consult with your new district representative if she is interested. Keep the passion! It will happen! Thank you for sharing the process your district went through. I can appreciate the starting place of the “common assessment” as that was something I, along with other teachers from different schools, worked on creating about 5 years ago. Even then, there was argument about just about everything. My state (TN), like yours, also does not currently have a state-mandated end of course exam, so the efforts to create one to use in our county also fell flat. Thank you for the suggestions and for your offer of consultation. I would love to have you and Megan share what you’ve been able to do in your school(s). Kara, my school is currently in the process of redoing our curriculum. It’s just me and a French teacher. This is one of those times that being a department of two is a definite disadvantage. We have been using your work as inspiration and really appreciate your generosity with sharing. I am able to access the curriculum frameworks, but I get an “access denied” message for the curriculum frameworks. Are these not available for public view? Is there any way that I can see the Instructional Resources/Curriculum Maps for High School? I don’t want to steal all of your ideas, but there are literally 4 language teachers in my impoverished rural North Carolina district. This summer I going to try to refresh a few units and set up a new pacing guide to share with the other teachers in August. I have been trying to get our county less reliant on the dreadful textbook (Buen Viaje c2005) but it is really hard to convince others. Anything you could share would be awesome! In the past the JCPS documents have helped me a great deal. I was able to access the curriculum frameworks document from the above link, but I couldn’t access the resources or maps. You and your county have already shared so much, but I am looking to improve and tweak my curriculum always. I am the “World Language Dept.” in my district, and your website and county’s documents, among many other blogs have been such a huge help. The frameworks help, and have my mind going about out to better align my levels. If the other links become available let me know. I am also willing to purchase and do purchase from TPT. Thank you so much for the inspiration! I have been following your district’s work for a few years and gathering the administrative support to make the change to a performance/proficiency centered curriculum. I work in a high school with one other language teacher and she does not have much background in this area. I can see the curriculum framework and it gives me some ideas for how to make the alignment across levels using the AP themes. However, when I click on the curriculum maps, I get an “access denied” message. Would it be possible to get access to the curriculum maps? 1. If it says access is denied, try a different computer. For me, it doesn’t work on the iPad or mobile devices. It is a public site though. 2. What is there, is all I can share. There are some documents that are protected. Sorry! If we add more or there is another way, we will definitely share it! This is all property of JCPS and I believe they have been very generous. 3. JCPS shares their curriculum, because they believe we are all in this together for the sake of teaching and learning. If you “borrow” a lot of a document, please consider adding a small phrase at the bottom giving credit to JCPS or any other institution. I’ve seen “Adapted from…” on a few. JCPS and its teachers have invested an immense amount of time, research, and money into this. Thanks to all of you for the kind words! 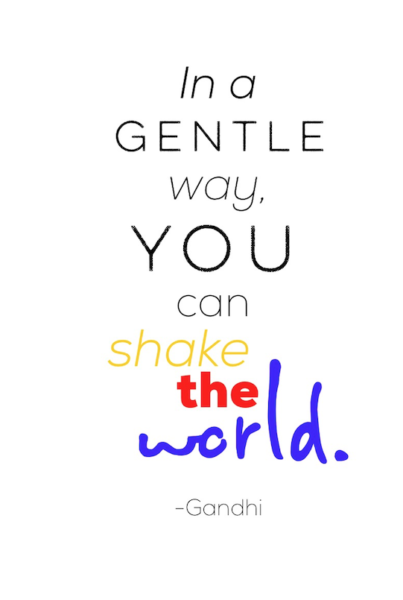 I will pass them on to our amazing cohort and leaders! It looks like they have added a password. Bummer. I’ll share more with you as I get answers. Our district has already been using the AP themes in all levels as we have 6 6 week sessions so each theme is covered each 6 week. 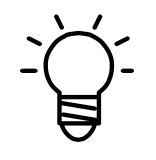 I have started blogging this year about some of the things we have been doing and will be adding more related to activities for lower levels that incorporate AP themes. This is my first year at this district but their forward thinking is why I switched to this district! I was able to access most narratives and units, the exception being the high school ones. (I teach 5th-8th, so while I was curious it was not the end of the world for me). Thank you SO MUCH, this will be extremely useful as my department of one (HI!) tries to prepare for the coming year. I know you mentioned that you are not allowed to give access to all of the documents, but are you able to show a larger example of the Unit maps? I love the way that y’all are doing things in Kentucky and would love to be able to try to implement some of these ideas in our district in GA. I will find out for you. I feel comfortable picking one unit and explaining how we did it. That will be an upcoming post! I love that you guys are starting to include the Intercultural Competencies. This is my goal for this year to help better prepare students in lower level for our IB Program if they choose to enter it. The Shelby County Tenessee documents list things like “I can create a simple menu for a restaurant. I can write a review of a restaurant I’ve eaten at.” under Products for Intercultural Competencies. Huh?? Products is supposed to be the students studying, analyzing and understanding target culture products not actually producing something, right? Also, a restaurant review seems inappropriate for the proficiency level here. Maybe a personal opinion about a restaurant to a friend in a text/email/Whatsapp? Just wondering your thoughts on this. My district is revamping now and we are overwhelmed by information but REALLY thankful for your inspiring ideas here!! It sounds more like a can do, but I see where they are going with it. It needs tweaked or moved into a different area. I think the proficiency level is ok. A review can be simple or more complex, like the Yelp reviews. Any way you can share what your district is doing? I am getting ready to teach French 3 for the very first time using the JCPS documents and I have some questions about how you approach and teach unit 1 successfully. Is there any way one of you would e-mail me at agatha.manion@lincoln.kyschools.us so that I could get some feedback? It would be so appreciated–I am the only French teacher at my school and the first one to attempt a level 3 class. Merci/Gracias!! 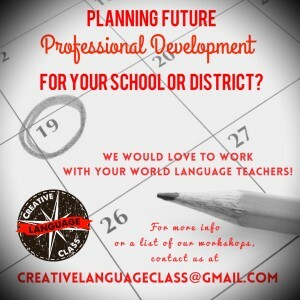 Go ahead and email us at creativelanguageclass@gmail.com with a few specific questions. We are both finishing up the summer with some “last chance vacations.” I see you are a Ky teacher, have you thought about KWLA fall conference? We will be there presenting some workshops that would be a big help for planning through culture. We so appreciate your blog and curriculum materials here in Scott Co. Kentucky. I have been trying to access the latest versions of everything from the Gheens Academy site, but only the framework for high school is accessible. I cannot get to the maps or resources. Could you recommend someone I could contact to gain access? Of course we are happy to give full credit to JCPS for all that we would use. I assume that the resources are different than what I downloaded last year. I really like how you aligned all four years to the AP themes. That is a huge help and thank you for sharing that. We are aware, but at this point we cannot share more per JCPS. Trust me, as soon as I know more or get permission, we will share! Adding Interculturality Standards addresses what is often lost when considering language development, especially in children. Too often someone’s language ability by tests scores but do not measure an individual’s understanding of the meaning of the characteristics of language in the context of culture. What have teachers done to prepare for the new Interculturality Standards at your school? Do you anticipate any problems? What would a desire outcome look like? Thank you the entry and I hope to hear your response! I want to share info on this soon as a post. We are presenting about it this week at KWLA. Will share soon! Problems: One major one, how do we assess this? It’s easy to do that informally, but that may not be good enough for admins. Megan is working on a journaling system this semester and will share after she compiles her results. Another problem is going to be redoing old units that are language-focused to be more culture-focused. Sometimes it was difficult to write the standards, because the unit covered a large amount of vocabulary. The traditional “I like” unit is an example. Outcomes: Big goal, students are more globally competent and aware. I hope that students learn to look at culture as “they are unique” instead of “that’s weird.” I want open-minded thinkers that are sensitive and understanding. This couldn’t have come at a better time. This afternoon we had our 1st World Languages district-wide team meeting and the work they did was a gap analysis on how we align our units from foundational levels to AP around the 6 AP themes. They then identified when (which levels) these ‘units’ are taught. This will help us launch our work for developing common IPAs across the 3 modes and for vertical and horizontal alignment. Saw you guys in ACTFL 2014! You are AMAZING!!!! I keep coming back to your site for ideas and inspiration. Our program is in MAJOR need of an update. We’re losing students and interest in Spanish because 2/3 of our teachers are so set on their old textbook/grammar days and focusing on accuracy on level 2 kiddoes. Thanks T! We are continuing to add more. Contact us at creativelanguageclass@gmail.com if you want us to work with your program. Like Jennifer, I would love some files shared from the images in the “update the look” section, where could I find those? Where are the posts you shared as you developed the “Adjust the Unit Focus: Zoom in on Culture!” last summer? How’d it go at ACTFL? I’m so smart…I just saw the “Zoom in on Culture”. How is it possible to get the password to access that stuff? Membership/subscription purchase? Thanks! Love it. Hi Michelle! Right now, we have that available for our conference/workshops only. We are making some final decisions as we move to the new website about how to share what. If you are signed up for emails to the site, you will know as soon as we launch it. The “update the look” files are not ours to share because they belong to JCPS. 🙁 We do have many new units to share that we have created. It’s all coming as fast as we can. Thank you! Will you be presenting again soon? Way to go JCPS! Setting the example for our district. Welcome! Glad to share! Our next presentations/workshop will be ACTFL 2015 in November. We added a page on the menu bar called “Conferences” http://www.creativelanguageclass.com/conferences/ where we will update where we are going next. We have a few that we are working out details. What state are you in? Well hi neighbor! I’m in Denver right now. I loved the MOPI training; it made me really understand the proficiency levels. Thank you so much for this site, and all the generous sharing of resources and ideas! I have been a strong advocate of the proficiency model since long before I became a teacher, but when I finally left international business/translation to become a language teacher, I was frustrated that my methods class was still very much on the “old” way of doing things (which still have merit, so I’m glad I learned those things). I struggled for years to generate proficiency-based classroom practices and assessments, hunting and pecking for resources and creating things out of nowhere. Since I teach all levels of French at my school, I had to create a LOT out of nothing. Your site has been a godsend to help me tie it all together and provide focus and direction to what I’ve always intuitively wanted to do. THANK YOU!!!! I must admit I am pirating *heavily* from your curriculum. One question (and maybe you’ve already answered it elsewhere): I noticed you usually have 2-3 scenarios for each mode of the performance assessments. Do you require the kids to do all of the scenarios or can they choose? I noticed most of them ask for similar things but there does seem to be a little bit of modification in each. Thanks for your answer, and thank you again for these wonderful resources and ideas. I am in your debt! Thanks Alissa for all great feedback. We are happy to share because we have all been at step 1 before and remember those feelings. About the asmts, we only ask them to complete one. There are 2-3 asmts for a few reasons: to pick the one that is a better fit for our students, to use a retakes, and/or to give student choice. No debts are kept here. Just keep being a part of our WL community here!